When it comes to cooking for a large group in events such as family gatherings, tailgaitings, and even a weekend cooking gig at a fair, Camp Chef has an array of stoves to choose from. Camp Chef Tahoe Deluxe 3 Burner Grill vs Explorer 3X… what’s the difference between these two? They’re both equipped with a 3-burner system, and they both require propane to run. But which one should you get? Find out in this comparison report. 3 Which One to Buy? Cooking Dimensions 16 in. x 38 in. 14 in. x 49 in. Stove Cooking Area 608 sq. in. 686 sq. in. Cooking Height 30 in. 29 in. 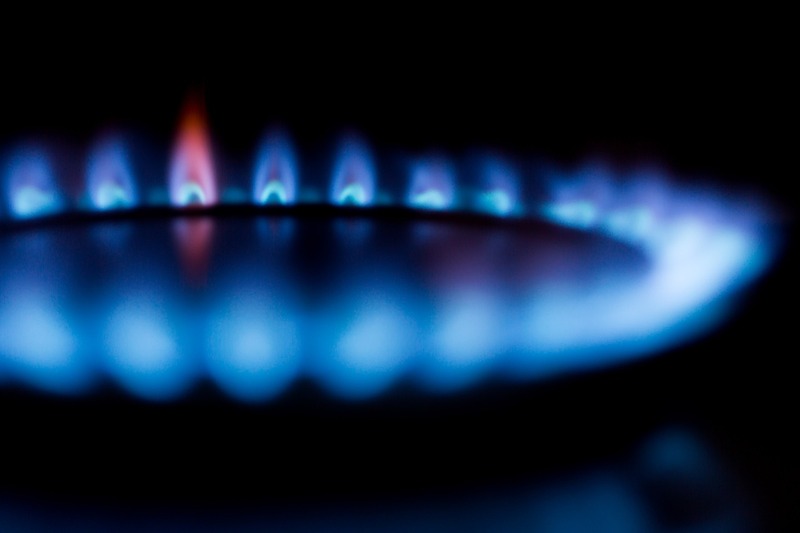 You’ve seen the chart above, now let’s talk about these stoves’ key differences. The most obvious difference is their design. You can easily tell these stoves apart. The Tahoe 3-Burner Stove has a more “closed” style while the Explorer 3X has an “open” skeletal look. But in everything else, there’s a lot of similarities. For instance, they come with detachable legs, a three-sided windscreen, and aluminum cast burners that has an output of 30,000 BTUs per burner. 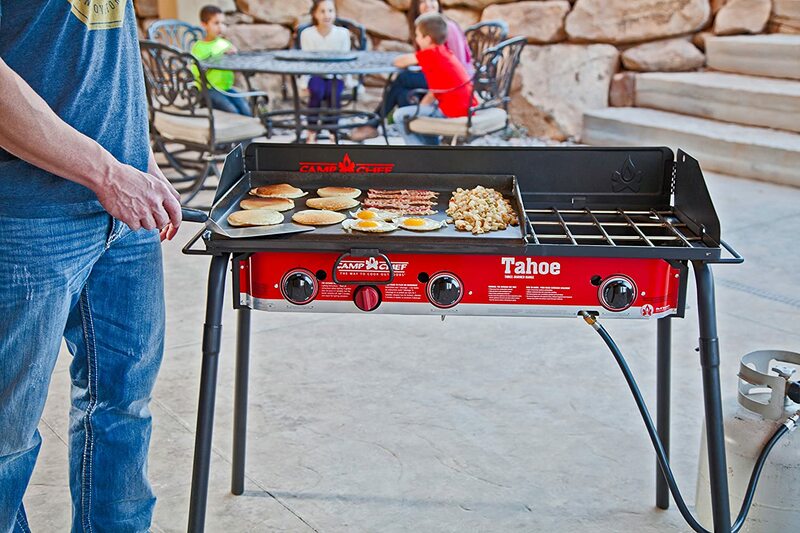 The Camp Chef Explorer 3X has the advantage of having a bigger cooking area, which measures 686 square inches. In other words, it has 80 square inches more than the Tahoe Deluxe 3’s, which measures 608 square inches. There’s also a slight difference with their cooking height. Based on the data we’ve gathered, the Tahoe is one inch taller at 30 inches. Both of these Camp Chef stoves are compatible with accessories sold by the company. An example is a griddle and a grill box that adds to your cooking experience. The Tahoe first 16-inch accessories while the Explorer 3X is compatible with 14-inch accessories. Also read: Napoleon TravelQ 285X vs Weber Q2200, Which is Better? Let’s end this comparison report with this recommendation. Both of these stoves are well-received by previous buyers. Your choice is dependent on the following: style and the cooking area. 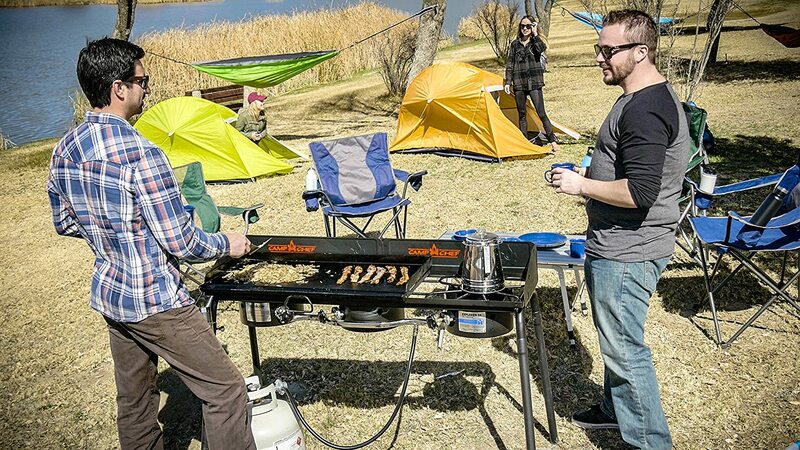 If you want a bigger stove area, then it makes sense to choose the Camp Chef Explorer 3X. 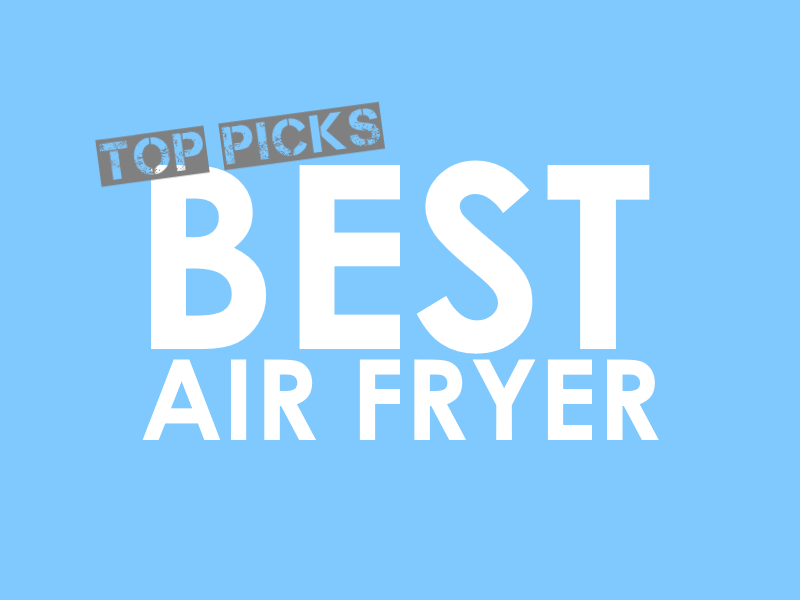 Dash Compact Air Fryer Review – Hit or Miss? Hamilton Beach 25360 vs 25361: What’s the Difference? How to Grill in a Microwave Oven: Possible? Grill Roast and Fry is a participant in the Amazon Services LLC Associates Program, an affiliate advertising program designed to provide a means for sites to earn advertising fees by advertising and linking to Amazon.com. Also, certain content that appears on this site comes from Amazon Services LLC. This content is provided “as is” and is subject to change or removal at any time.